To celebrate the release of Everybody Wants Some!! in cinemas May 13th we’re giving away some awesome movie merchandise! 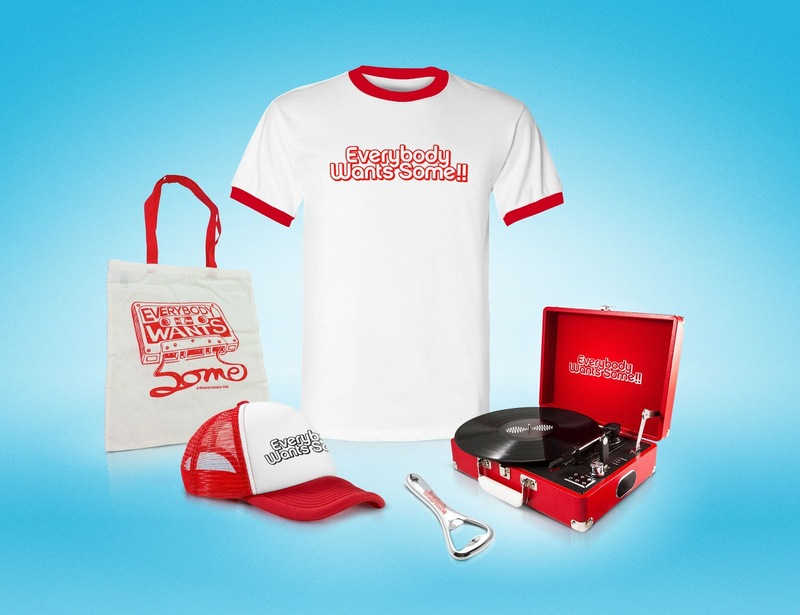 One runner up will win a t-shirt, tote bag, baseball cap and a bottle opener and one lucky overall winner will get all this PLUS a retro record player. Following Boyhood, acclaimed director Richard Linklater returns with Everybody Wants Some!! – a ‘spiritual sequel’ to his 1993 hit Dazed and Confused. Set in the world of 1980s college life, Everybody Wants Some!! follows a freshman’s first weekend at the Southeast Texas State University. Experiencing a fraternity-like lifestyle with his hard partying teammates, they quickly learn to navigate their way through the freedom and responsibilities of unsupervised adulthood. Get ready for the best weekend ever when Everybody Wants Some!! opens in cinemas May 13th.